Are you crying? There's no crying in baseball! I tried to marathon the first Ookiku Furikabutte (A.K.A. Big Windup!) so I could start following the currently airing second season, but this show is unwatchable. This is not to say that Ookiku Furikabutte is a bad show, it's just annoying as all Hell. 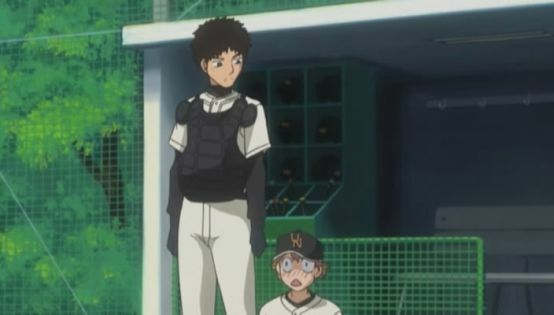 I can see how a lot of people might really enjoy Big Windup! and recommend it enthusiastically, but these are people with much higher tolerances for crying in their anime than me. 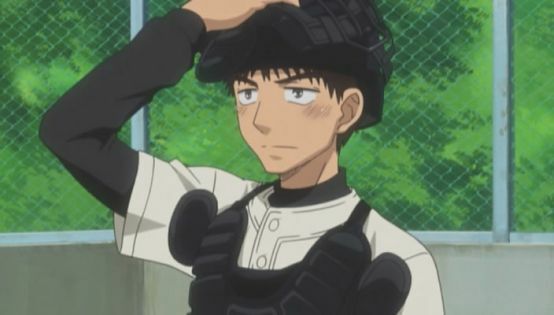 I call Mihashi "Chicken Face" because I can never remember his name. Also he won't stop making this stupid beak-mouth expression. I managed to finish the first nine episodes, and I think on average there must be four or five unrelated crying scenes in each episode. These boys cry over everything. 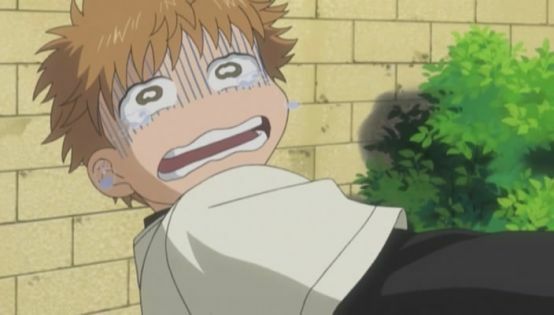 Usually it's Chicken Face...err, Mihashi, that cries, because he cries all the time. Presumably it's to show character development and maybe by the end of the season he (hopefully) develops a spine and some sand, but I'll be Haruhi damned if you think I'm going to stick around to find out. Sack up, guys. If catchers had aprons this pitcher would be clinging to one. a timid little girl, Abe is taking this rather well. Ookiku Furikabutte is not all bad, though. For example, all the parts with Abe calling a smart game accurately reflect the thought processes that separate pitching from throwing. Thankfully, unlike One Outs, Big Windup! accomplishes this without pretending commonplace baseball strategies and tricks are shocking and amazing, even though they might seem so to neophyte spectators. 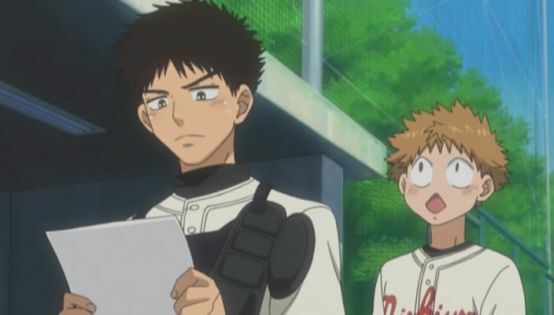 If Ookiku Furikabutte cut the lousy drama queens or at least traded them for some "players to be named later," it could field a pretty decent baseball anime with the rest of the team, alas.